Although I had often outsourced the occasional one-off task, I was actually doing everything myself and only started regularly working with a VA after I broke down in tears after spending most of the week dealing with a host of support emails instead of getting any real work done. That was the moment I knew it was time to get some help. Another catalyst was when I attended an event in London where the speaker talked about £10 tasks, £100 tasks and £1,000 tasks. He said business owners who want to go to the next level should outsource all their £10 tasks so they can focus solely on the bigger ones. In a nutshell, £1000 tasks are huge things like connecting with business partners, strategy and creating courses, £100 tasks are (for me) things like marketing and providing value to my audience by creating different kinds of content, and £10 tasks are everything else. Things that need to be done but not necessarily by me. I realised that even though I know that’s the point of hiring a VA, I wasn’t taking my own advice and was trying to do everything myself! I then decided that I needed someone to take on my £10 tasks straight away. One simply completes tasks they are given and the other prefers to be more involved in their client’s business and helps them manage it by ensuring they’re on top of their tasks. 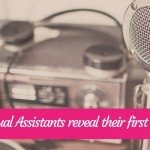 I was personally (by choice) the first type of VA, but as a client I very much need the second type. I often get messages from people who have various support issues. They may have lost their login details to my courses website, they can’t find a download, or they have accidentally unsubscribed from my mailing list. Replying to each message meant my focus was constantly being interrupted while I was trying to complete other tasks. It was after an extremely stressful week of not getting anything meaningful done, that I decided this was the most important thing I needed help with. Now people can email support@thevahandbook.com, my VA imports this account into her own email provider and can help anyone needing technical support. My VA also goes through my connection requests and accepts or refuses people based on specific criteria I have given her. However, I always reply to personal LinkedIn messages myself and she does not open or read these. When I have an idea for a new project (especially when it’s something to do with my Facebook groups), I’ll often run it past her and ask for her feedback. 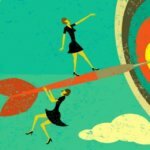 This has turned out to be a fantastic strategy because not only is she also my target market, she can provide a different perspective and often comes up with ideas I hadn’t thought about. My VA has a unique understanding of my business, is aware of all the resources at my disposal, and has a completely different mindset than I do. All of which are beneficial to my business. I have two Facebook groups to look after (The open VA Handbookers group and a secret group for trainees of my DIY VA course who are called the Rock Stars) so to make sure they both run smoothly and I don’t lose my mind in the process, I share my content calendar (as well as a Google calendar) with my VA which outlines everything that happens in each group throughout the entire year. Ensuring all content (unique posts and challenges) is scheduled… at the right time. Ensuring any evergreen content in MeetEdgar is scheduled and correct. Nudging me if I’ve forgotten to write, edit or schedule posts. Writing and scheduling regular weekly/monthly posts so I can tailor them later. Adding any challenges and training to the Units section. Assisting with the twice-yearly Lurker Week and ensuring all copy gets recorded for later use. Ensuring the Rock Stars monthly Facebook Live Q&A event is scheduled and the group is reminded of the session. Making sure the posts for a multitude of other events such as sales, challenges and national holidays are written, scheduled and saved for later. Although my VA assists with ideas and scheduling, I always write everything myself and she never posts in any of the groups as me. As you can see, not many of these tasks are complicated or time-specific, they’re just time consuming things that have to be done accurately. Just not necessarily always by me! Having this support means I’m freed up to create new courses, talk to members of my Facebook groups, write newsletters and blog posts, create new things, reply to personal messages received on social media and email, analyse and tweak my marketing strategy and social media, and generally focus on moving my business forward. Simply put, there are a lot of spinning plates in my business… and my VA’s job is to make sure I don’t drop any! Thanks for writing this very good insightful post. It was very interesting to read about how you use your VA, and the journey she took to get there. Best wishes in the continuing success of yours and Victoria’s businesses! Thanks for sharing how you utilized your own personal VA and how her personal motivation to help caused her to stick out on your radar. That’s probably something that a lot of VAs don’t think about.